Should should TV stations corner the market on weather coverage in a digital age? 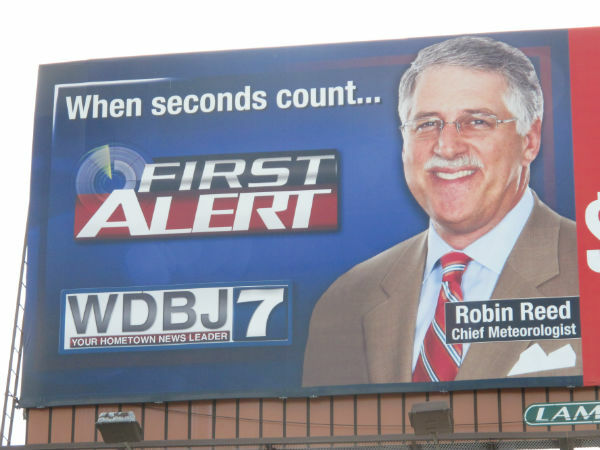 If you drive through downtown of my city on the interstate, you’ll see a big billboard for one of the local television stations touting its weather coverage. Still, I have to wonder: Why don’t newspapers hire meteorologists? Or, at least someone able to report knowledgeably and authoritatively on the weather? At one time, weather coverage was a clear advantage that TV stations had over print. But that was the dead tree era. Now that we’re in a digital age, why can’t newspapers compete with TV stations on weather coverage? If viewers/readers are getting the information on their smartphone, what’s the difference if that news is coming from a TV station or a newspaper? I submit there is none — and that this represents an opportunity for newspapers. Weather coverage can drive online traffic; it can also be monetized. Why should newspapers simply cede that whole subject matter, and the revenue it represents, to a competitor? 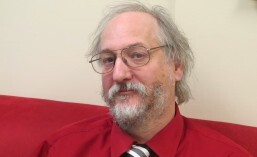 At The Roanoke Times, we’re lucky to have our own weather columnist, who has shown just how a newspaper can compete with real-time weather coverage. Kevin Myatt is one of our copy editors, with a keen interest in weather — and the ability to write about it in a way people can understand. He’s not a formal meteorologist, although he has studied the subject enough that he has edited a book on hurricanes and helps lead the annual storm-chasing trip that Virginia Tech’s meteorology students make to the Midwest each each summer. In 2003, he started writing a regular weather column for the paper. By 2006, that had expanded into the Weather Journal blog. I’m probably not at liberty to disclose the exact traffic it generates, but it’s safe to say that it’s one of the most popular parts of our website. Each week we publish in print our top five blogs; during the winter, when we Southerners freak out at the prospect of snow, Kevin’s blog is usually the No. 1 blog. Even during the summer, it gets an impressive amount of traffic. There’s a reason why, when we redesigned our website, we put the Weather Journal on the gateway as a standing presence. When we were doing a news daily webcast, Kevin often made an appearance. As I noted in an earlier post, our webcast was never intended as a business venture. Still, we got a glimpse of what could be done and that is this: There seems absolutely no reason why a newspaper can’t have a weather journalist who can be marketed just like sports columnists or other newspaper features are marketed. Just as I’m surprised other papers haven’t followed our lead in having some journalists work out of coffeeshops to keep them more closely connected to the communities they serve, I’m surprised other papers haven’t followed our lead on weather coverage. Does anyone else know of any?